The core to how we should manipulate people prevails in how we think about them. It's a matter of perspective. If we surrounded with positive and encouraging people, we will never be made to feel ineffectual. Don’t surround yourself with antagonists. Your time is too precious, and your goals are too valuable! Don’t recapitulate to get exploited by hope homicides, discover the endurance within yourself to make a difference. We should be careful not to confuse legitimate and productive feedback that could lead us along the way versus people who are disparaging our ambitions. We should seek out the effective feedback as it can help to get where we want to go and choose mentors who tell us that we can. Get associated with coworkers who focus on the positive and avoid the negative. 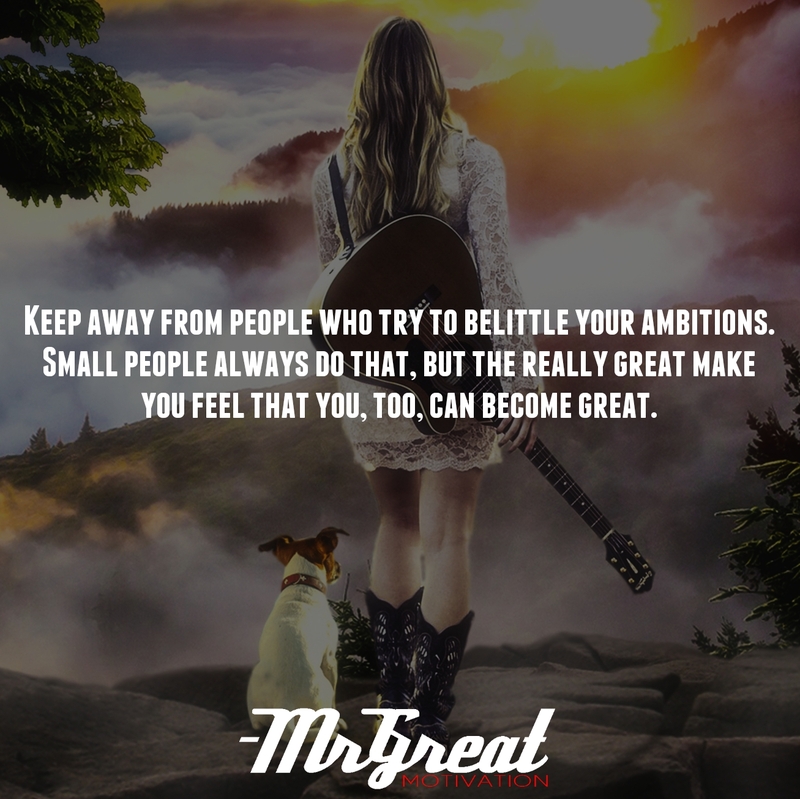 Look for those really great people that make us feel that we too can become great! Become someone who supports others and strengthens them up, motivates them up, rather than breaks them down. Everyone’s vision is of equal significance, become a person who guards others ambitions. Decide to grow relationships that bring goodness, harmony, and motivation. It is those relationships that justify our precious time.